The most frequent indication to carry out a corneal transplant is a reduction in visual acuity as a consequence of corneal opacity. Other aims are to correct an abnormal corneal contour (keratoconus), to treat corneal thinning or perforation, to relieve pain, extract sources of infection or neoplasia and resolve aesthetic problems. A classic corneal transplant replaces all layers of the host's central corneal disc with a donor cornea. This is penetrating keratoplasty. The current trend is to carry out partial transplants of just some of the layers of the cornea depending on the location of the pathology, differentiating between deep anterior lamellar keratoplasty (DALK) and the posterior forms (DSEK, DSAEK, DMEK). At the Institut de la Màcula we carry out the most suitable type of corneal transplant depending on the location of the corneal pathology. Post-operative care in the case of a corneal transplant is much more complex than after cataract surgery. 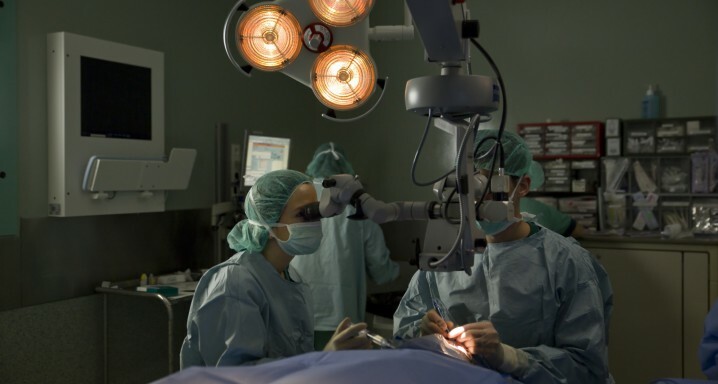 The long-term success of keratoplasty depends in part on the post-operative care and treatment due to the risk of rejection, although this risk is less than in any other systemic transplant.